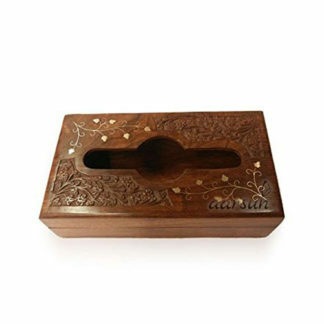 Material : Made from Premium Quality Sheesham Wood (Indian Rosewood) and Brass. Aarsun Woods brings you the best range of quality solid wood and modular furniture right to your doorstep, wherever you are. This Antique tissue box , will surely accentuate the decor of your dining table.These products are used in keeping tissues at car, home, office, etc. These products can be availed at very economical rates. The elegant and mesmerizing products offered by us are also available in different sizes, shapes and pattern.